The haftorah opens by comparing Israel to a barren woman, who is promised countless children. “Sing barren woman, you who did not bear; burst out into song and jubilate, you who have not experienced birth pangs… (Yesha’yahu 54:1). When I was 35 years old and my only son was 13, I had almost given up hope of ever expecting another child. Yet, at a routine checkup, my gynecologist brought up the subject of fertility. I told her my story, and after we both shed tears together in her office, she gave me new hope. I remember when I received the good news that I was finally pregnant. How I had waited, hoped and prayed for this moment. I felt exactly like the barren woman described in our haftorah. I felt like bursting forth in a proclamation to the whole world: I am pregnant!!!! I AM PREGNANT! After all these years! It was unbelievable. All I wanted to do was to publicize the miracle. During our long exile, Israel is compared not only to a barren woman, but also to a widow who lost her husband, and to a woman whose husband left her, abandoned and forlorn. “For, like a wife who is deserted and distressed in spirit has Hashem called you, and a wife of one’s youth who was rejected, said your G-d (Ibid.6). The prophet assures all these bereaved women, that G d has not forsaken them. Although He has momentarily hid His countenance from them, He will gather them from their exiles with great mercy. I was trying to understand the metaphorical meaning of each of these deprived women. Which aspect of our thorny distressing exile do they each represent? The barren woman seems to allude to the lack of fertility of the land, and the freeze on the development of our vibrant Jewish neighborhoods. When the communities of Israel will become like a mother blessed with many children, every new-married couple will easily find affordable housing. We still await the time when Eretz Yisrael will produce even more wormless organic fruits, as there is no greater sign of the coming redemption than when the Land of Israel brings forth fruits in abundance (Babylonian Talmud, Sanhedrin 98a). The widowed woman, I believe, refers to the suffering of the terrorism in Israel. The prophet promises: “Fear not…the disgrace of your widowhood, you shall no longer remember (Yesha’yahu 54:4). 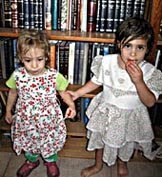 When women are brutally murdered, and children are left orphans, we ask ourselves “where is Hashem? Why does He not protect and defend His people from this disgrace and terrible affliction?” Finally, the divorced woman seems to refer to the different divisions within Jewry: black hats, knitted kipot, secular, and settlers. Like “divorce”, the word “disengagement” signifies this division that includes the expulsion from Gush Katif and part of Shomron, the separation and estrangement of some Diaspora Jewry from the Land of Israel, the division of the Jewish people as a whole from the Torah lifestyle. Our haftorah of consolation comforts the barren woman, who is told to enlarge the size of her tent to make room for all the children she will have. “Widen the place of your tent, and let them stretch forth the curtains of your habitations, do not spare; lengthen your cords and strengthen your stakes; for you shall spread out right and left, and your seed shall inherit nations and settle desolate cities” (Ibid. 2-3). These prophetic verses don’t exactly suit our current political climate. Nonetheless, the hidden agenda of all the political figures trying to impose a building freeze on Israel, is to prevent the redemption of Tzion and the fulfillment of its prophecies. The United States, seemingly our ally, descends from Esav, and like him, is disguised in the veil of a cultured, civilized, modernity. Yet, behind the mask of friendliness hides the selfish greediness of a power-monger, promulgating individual advancement, at the expense of facilitating a dwelling place for the G-d of Israel. In spite of the resistance from the majority of the world, the proportions of the Jewish redemption will be so overwhelming that Eretz Yisrael won’t be capable of containing it. Yerushalayim will be flooded with newly arrived residents, and the surrounding areas will speedily overflow. Rabbi Dovid Siegel explains that even after the entire Judean hills will be saturated with newly sprouted neighborhoods, the Jewish aliyah will continue. 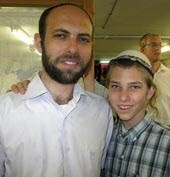 The new wave of emerging Jews will take possession of the entire land of Israel and settle it. The return will be so encompassing that even these broadened quarters will not suffice. During the redemption, Hashem will finally gather His beloved people back, and renew His loving relationship with us, just like when we were His youthful bride. “I forsook you for a brief moment, but with great compassion I will gather you in” (Ibid. 7). My dear friend, whose husband was murdered in a terrorist attack, never allowed herself to despair, but always radiated joy and hope. This year, I happily participated in her remarriage. Another close friend who has been an aguna for many years, yet never allowed herself to become bitter, is now engaged to a wonderful loving man. All these examples of personal redemption are signs of the upcoming redemption of the congregation of Israel. “For the mountains shall depart and the hills be removed, but My faithful love shall not depart from you, neither shall the covenant of My peace be removed,” says Hashem, Who has compassion upon you (ibid. 10). Even if the mountains move and the hills are shaken, G-d’s covenant with Israel will stand firm. Rashi explains that the mountains refer to our Patriarchs and the hills to our Matriarchs. 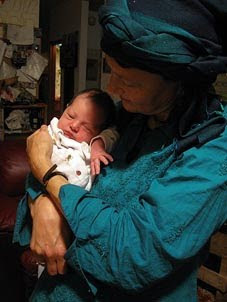 The merit of our Mother Sarah was so great that when G-d granted her a child, He blessed together with her all barren women, as well (Rashi, Bereishit 21:6). Yet, Hashem implores us to strengthen our emuna that even if the merits of our fathers and mothers will cease, Hashem’s loving/kindness to us will be everlasting. When I gave birth to my second son, I prayed not only for other women who struggle with infertility like me. I told myself, “Don’t pray only for the barren women, but pray for all of Israel. For our long exile can be compared to a childless woman, and a long and difficult labor.” Join me today in my prayer and blessing that all single women will find their soul-mate, all the divorced and widowed will remarry, and that all childless women will bear fruit! May G-d bring miracles to our nation the way He performed miracles for me, and may we give birth to complete redemption as speedily as I gave birth to my precious baby!